[Rick Osgood] has been busy making more scaring gags for Halloween. This week he’s sharing great ideas for an air horn and pneumatic jumping skeleton, both actuated by 24 V sprinkler valves. 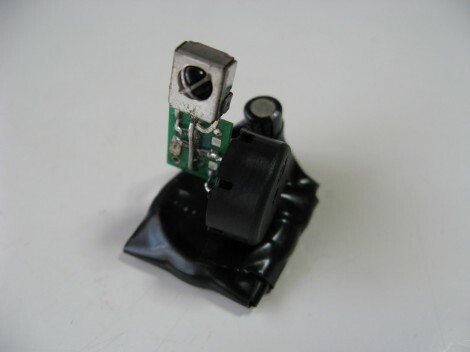 These two new gags can easily be activated using [Rick’s] cardboard floor plate switch and three 9 V batteries cleverly snapped together in series for a 27 V supply (we can’t resist dropping in this link to a 2196 V supply from 9 V batteries just for fun). The air horn construction is quite unique using a latex balloon strategically located as a reed valve for the air to vibrate over as it rushes out making a very loud honking sound. [Rick] then connected his manual bicycle pump to an air supply so that when an air valve is actuated the bicycle pump handle with a skeleton wired to it pops up. It then lowers back down via a bleed hole in the air line. 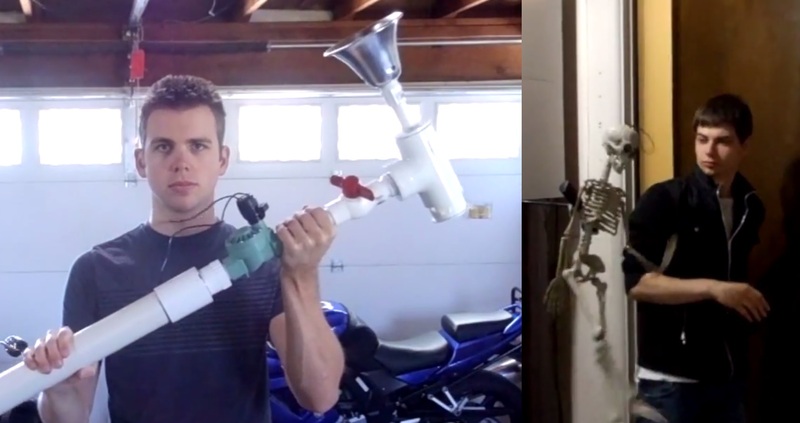 Both the air horn and pneumatic pop-up skeleton seem simple to construct and his tests show them functioning perfectly. Being the air storage chambers are small the re-trigger setup seems too repetitive to be practical for a continuous stream of Trick-Or-Treaters. Perhaps one could hide an air compressor with a long feed line to supply the gags? Plus, using an air compressor would come in handy for other scary blasts of air. Of course you would want to lower the compressor’s output regulator to safe levels so you don’t risk blowing apart your pop-up skeleton rig or any pipes. Follow along after the break to see how to build these two great gags and get some tips from Mr. Safety.